Food for the soul: Whatever mountain stands in your path, whatever obstacle blocks your way, whatever difficulty immobilizes you, the prayer full of faith can remove it. It�s merry month of May! Over in Western countries, May likewise signifies springtime and promise, when winter�s chill gives way to fair and temperate weather and the cycle of rebirth. In the tropical country like ours, Maytime is a season of festive rites and rituals. In Bohol, it�s a one month �kainan� from house to house. Has Tagbilaran City run out of beauties? This was a question raised by observant beauty pageant aficionados when a lovely lass from Panglao was crowned Miss Tagbilaran 2008. Yes, she deserved the crown but the main issue is the residency requirement. The truth is she�s from Panglao. Stacy Mae Arisola who represented Taloto has no residency in Tagbilaran City as she hails from Garcia Hernandez town. The organizers indeed have a lot of explaining to do regarding this matter. Further compounding the issue is the placement of a girl from the town of Clarin as one of the runners-up. There�s no guideline that Miss Tagbilaran is an open contest wherein contestants from other towns and provinces can join. It started when Susanne Mae dela Cruz �presented� herself as Miss Booy when in fact there�s already Melle Angelie Doroy who won the Miss Boy Search in July 2007. De la Cruz showed no papers as she�s endorsed by barangay Booy making the barangay council headed Jun Telmo in quandary. �Is it improper to present yourself as a candidate without any proof? And to know that there was a legitimate contestant from that barangay?� True unimpeachable Very Reliable Source (VRS) said. The pageant started on time and opened with the spectacular opening number which showcased the dazzling and breath- taking costumes of the 12 candidates and the superb performance of the Diwanag Dance Theatre and Cultural Troupe. Miss Tagbilaran 2008 holds the distinction of being the first local pageant to be held at an air- conditioned venue, the Bohol Cultural Center. This year's batch of candidates is one of the most competitive in recent years. After the swimsuit and evening gown competitions, the top five were proclaimed and the interview portion immediately followed. After an intermission number, the final three were called and asked the final question. After the obligatory farewell walk of last year's winner, the new Miss Tagbilaran and her court were proclaimed and crowned. The minus points of the pageant include the very dragging choreography. For instance, in the gown portion, each candidate was given at least three to five minutes to show off her gown. By the time the evening gown portion was halfway through, a sizable number of the audience had either gone home or silently protesting of the ordeal of sitting through the rest of the show. The technical aspect of the show particularly the lighting effects were disappointing to say the least. Furthermore, the AVP's shown on the wide screen were very amateurish. As expected, Bohol�s seasoned host, Mr. Raul Gatal, dazzled the crowd with his witty repartees and competent handling of the pageant's loopholes and technical difficulties. Even Rovilson Fernandez, executive director of Maxim magazine and partner of Marc Nelson in the Amazing Race (where the pair won third place) was impressed with Mr. Gatal's hosting. According to my VRS, Mr. Gatal was only informed that he was to be the pageant host only two days before the pageant night! Furthermore, my VRS further revealed that �kinawawa ng organizers si Mr. Gatal with a very measly talent fee.� To think that he actually saved the show! A seasoned host like Raul deserves the best talent fee. Overall, this year's Miss Tagbilaran pageant was a fairly decent production and definitely way better than last year. Here's hoping that this would be serve as a challenge to the organizers to continually improve the city's annual search for its fairest and brightest young ladies. It becomes less, less glamorous and prestigious. �It's been only a week and my guess came true,� said Majuro Ikagami who felt that Chocolate Hills would be removed from list of nominees of the New 7 Wonders of Nature. Majuro emailed True about his concern of creating a Official Supporting Committees immediately when the Chocolate Hills climbed the 6th place in the New 7 Wonders. Chocolate lovers had reacted �violently� of the removal of the Choco Hills and the shocking news that it can�t be nominated either. Local officials and tourism stakeholders wanted an answer why Bohol�s Chocolate Hills was deleted off the list of nominees. It is sad to note that it did not just drop in rankings, it completely got dropped off the site without a word or explanation. I was thinking there should have been a press release about it.. Apparently, not one of the n7w.com staff noticed its disappearance along with other nominated sites. Other Boholanos presumed that it could be a nasty job of a computer hacker. A hacker intentionally gains access to a secure internet website, navigates and controls any information therein as he taps into the system website according to a press release. The Bohol Sangguniang Panlalawigan (SP) Tourism Committee Chair and Board Member Ester Corazon Galbreath prodded the provincial lawmakers to launch an appeal to the search organizers. She said the organizers should explain how Bohol�s marvelous Chocolate Hills and Mayon Volcano were deleted from the list. On his part, Vice Governor Julius Caesar Herrera steered the SP to make a formal communication to the Department of Tourism to ask for enlightenment on the matter, reports said. Bohol First District Representative and House Tourism Committee Chair Edgar Chatto, upon knowing about the incident said in interviews that would personally lead a Congressional inquiry as to why it also happened. Rep. Chatto told the Provincial Tourism Council chairman Peter Dejaresco that he to call the DOT and the United Nations Educational Scientific and Cultural Organization to ask about the possible de-listing of the wondrous hills from the nominees to the new seven world wonders list. The point is they reacted �violently� when they didn�t know the real score why the Chocolate Hills was removed. Blaming the hackers would be unfair. The New 7 Wonders website is secured, too. If these officials have had read the guidelines they would know what to do. Voting and campaigning aren�t enough. A special committee had to be set up because anytime the organizer would send queries regarding the Chocolate Hills. And this is their response. Apparently, my concern was also their concern. All nominees remain provisional nominees until they have been confirmed. Confirmation requires the nominee to set up an Official Supporting Committee, at which point they become an Official Nominee. Any provisional nominees without Official Supporting Committees cannotparticipate and therefore are suspended until this situation is rectified. For information on how to set up an Official Supporting Committee, please visit: http://www.new7wonders.com/nature/en/nomination/osc/ New7Wonders decision is final as to whether to accept or decline any participants following the rules of participation. See what I mean? I just laughed at the fact that they had no clue about the reason why it got deleted in the first place. We�re just happy that the Chocolate Hills is back. Please continue voting. 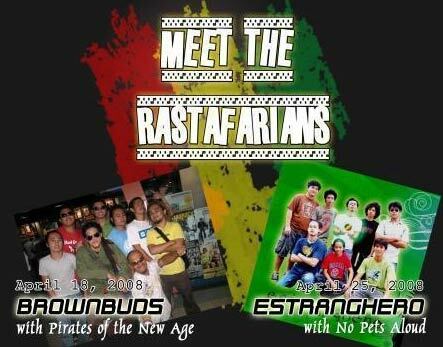 Caf� Anembo which is located along J.A Clarin St., Tagbilaran City had successfully hosted "MEET THE RASTAFARIANS" with BROWNBUDS MENDELS LEGACY on April 18 and ESTRANGHERO on April 25. The event was jamly successful, chilled with huge crowd. The same was another realization of Cafe' Anembo's primordial objective, to support Boholano music scene. Thanks to brother bands Pirates of the New Age, No Pets Aloud and Timber. The event sponsors were Punkstation Internet Cafe, Bohol Coconut Palms Resort (BCPR), Dunkin Donuts, Habagat Outdoor Equipment, Universal Press, Nature's Spring, BLPM Autocare Center, SNB Construction, S.T.K Food Haus, Camille's Bakeshop, Haneille Mart and Papa Doms Barbeque. Thanks Jofil, Morris, Kikoy, Maw2x, Dakz, Ni�o Gucor and Edison Delantero. Special thanks to Inday Ruffing, Sean and Kiss 102.3 FM for strong support to Bohol's Local Bands. �Cafe Anembo supports Bohol's music scene. Will keep you posted for our upcoming events,� said Caf� Anembo�s big boss Rico "Superman" Lantaya. Check the regular gigs Jam Session (Wednesday), Acoustic Night (Friday & Comedy Show on-Stage hosted by Inday Ruffing of Kiss 102.3 FM (Saturday). Ice cold beer and meals available at very affordable prices. You may reach Caf� Anembo at cafeanembo@yahoo.com, 09287701544. Senator Francis CHIZ Escudero sponsored the annual Youth Leadership Excellence Award (YLEA): Ang Batang Lider Award, one of the flagship projects of the JCI organization. The objective of the project is to recognize the leadership qualities and academic achievement of elementary and high school deserving graduating students both in public and private schools nationwide. In Bohol, YLEA was implemented by members of the JCI Bohol Chocolate Hills lead by its energetic LOM President JCI Member Amor T. Regner. Around thirty (30) elementary & high school graduates were awarded by JCI Bohol Chocolate Hills despite the limited time when the medals & certificates arrived from JCI Philippines, Manila. JCI members took time attending the graduations and awarded the YLEA medals and certificates to the recipients. 2008 YLEA awardees were Magallano, Loverly � Grace Christian School (High School), Epe, Nickson Felix � Grace Christian School (Elementary); Binatero, Nesie Fe � IKA, Cortes; Sumampong, Christian John � PMI, Loboc; Baguhin, Josephine & Bete, Ramonito Geo � St. John the Baptist Academy, Garcia Hernandez; Boligao, Maricar � St. Nicholas Academy, Dimiao; Gabi, Ma. Christine � Manga National High School; Migri�o, Ma. Leonora - Mansasa High School; Daquio, Carl Rookie � CVSCAFT; Labaria, Carle Elirozz � Bohol Wisdom School (High School); Oroyan, Lilia V. � UB High School Evening Session; Montalban, Remark � UB Day High School; Tan, Lalane H. � Collegio de la Medalla Milagrosa, Jagna; Sampiton, Ralph Emmanuel � Royal Christian School; Yap, Yasmin Iannah � Bohol Wisdom School (Elementary); Payot, Loitreena C. � Fatima High School, Cortes; Araneta, Julieto V. � Faraon National High School, Jagna; Meyor, Maridel � Biabas High School, Ubay; Pamaong, Rosamae � Cogon Night High School; Igdanes, Jammil Rashed R. � Panglao; Calimbyan, Teresa � Sierra Bullons National High School, Sierra Bullones; Genita, Aiza Nicca � Valencia High School, Valencia; Maglajos, Lucille O. � Dr. Cecilio Putong National High School; Lumantas, Deborah Anne O. � Tagbilaran Science High Schoo. Jack had to force himself to open his eyes, and the first thing he sees is a couple of aspirins next to a glass of water on the side table. And, next to them, a single red rose!! Jack sits up and sees his clothing in front of him, all clean and pressed. He looks around the room and sees that it is in perfect order, spotlessly clean. So is the rest of the house. Saying the right thing, at the right time is priceless. 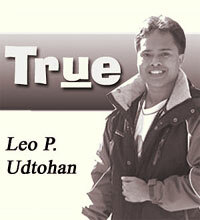 your comments on "True: How Raul saved Miss Tagbilaran 2008"
This article has been viewed 47 times.